Say goodbye to Overwatch’s controversial support and tank hybrid hero Brigitte. The shield maiden is receiving a gigantic nerf to her primary source of damage which could be the end of the popular “GOATS” team composition. In a post on the forums, Lead Designer Geoff Goodman explained that they’re reducing the damage of Brigitte’s Shield Bash from 50 to 5. Shield Bash used to be the opening move of a combination of abilities from Brigitte players that allowed them to stun and either kill or massively damage weak enemy heroes like Tracer and Genji. Combined with its recent change to no longer hit enemies behind barrier shields — like Reinhardt or Orisa — Brigitte loses a ton of power and threat to a large portion of the game’s roster. 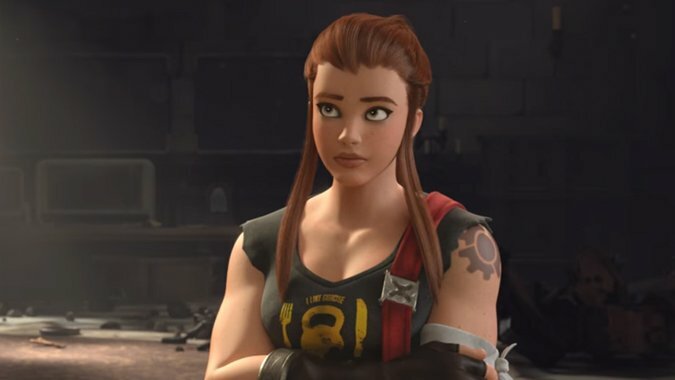 Before, playing anything but high-health tanks meant loss against competent Brigitte players who would self-heal, stun, and burst-damage most heroes down in battle, which led to many high-level and professional players to adhere to the “GOATS” team composition, made popular by the team of the same name. The three-tank, three-healer composition works because of its huge health pools, massive healing, and stun abilities. The composition’s prominence and effect on the game has caused a lot of people, including former Dallas Fuel player Seagull to criticize the current state of the game. The Brigitte nerf and the recent nerfs to Doomfist — another stun-heavy hero — make it clear that Blizzard is aware of the issue at least, but nobody is sure if any of the changes are enough. We’ll have to wait and see when they go to the live servers. But it’s obvious that part of the problem comes from a lot of heroes capable of near-instantly killing enemies with low-cooldown abilities, including new hero Ashe. Ever since solutions to instant eliminations like Mercy’s Resurrect were heavily diminished, the next best thing has been to stun each other until someone makes a mistake. Being stunned over and over isn’t fun either, and hopefully these changes will alleviate the amount of time you lose control in the game and allow for a wider variety of team compositions.